Today was Clare’s birthday, so we picked her up a cupcake from Candy Cakes on our way down to her party in South London. 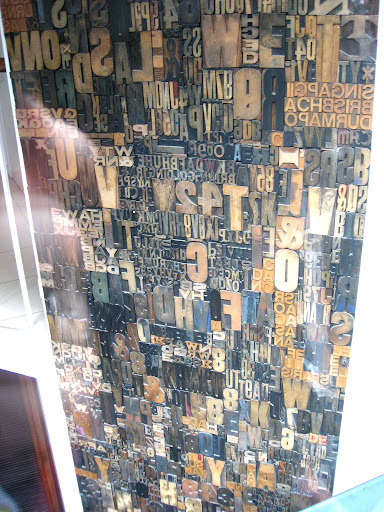 There's a really cool letterpress display in one of the windows in Soho. 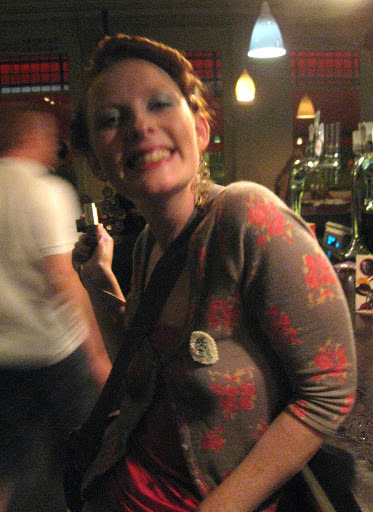 We then made our way to the Half Moon Pub in Herne Hill to celebrate. 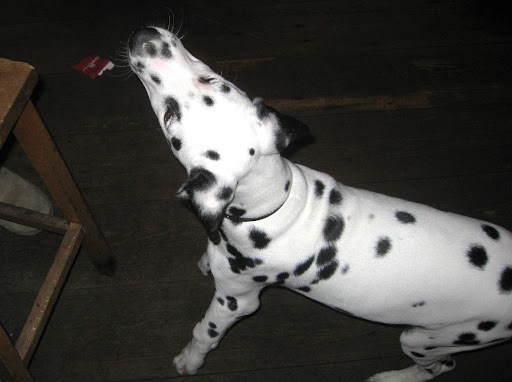 There was a really nice spotty dalmatian wandering around the pub. 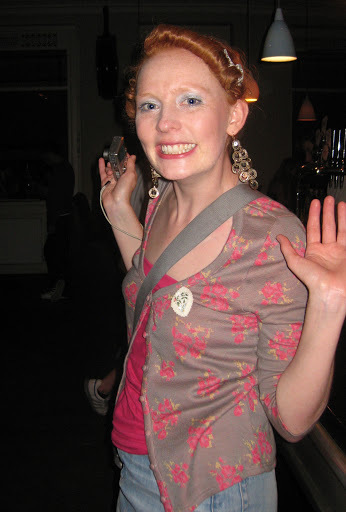 We surprised Clare with her cupcake, complete with lit candle and the personalised stamper which she loved. I can't wait to see her first wax seal.